JEE Main 2019 result has been announced by the National Testing Agency (NTA). The examination result is available as a scorecard in which percentile/ score is mentioned. After downloading the scorecard, students need to check the details such as application number and password/ date of birth. NTA has released the scores only for paper I, the result for paper 2 will be available later. If we talk about the coaching institutes students of Allen Institute Kota once again have exhibited their dominance in the JEE Main examination. A total of 15 students scored 100 percentile out of which one-third students were from Allen Institute Kota. Every year students of Allen are setting new benchmarks. Sambit Behera of Rajasthan, Jayesh Singla from Punjab, Kevin Martin of Karnataka, Ankit Kumar Mishra of Maharashtra and Kartikey Gupta Chandresh from Maharashtra are the students of Allen Institute. The NTA scores describe the percentage of candidates scored equal to or below the particular percentile. NTA will release the JEE Main Cutoff for January Session separately. 100 X Total Number of candidates appeared in the ‘Session’ with a raw score equal to or less than the candidate/ Total number of the candidates appeared in the ’Session’. 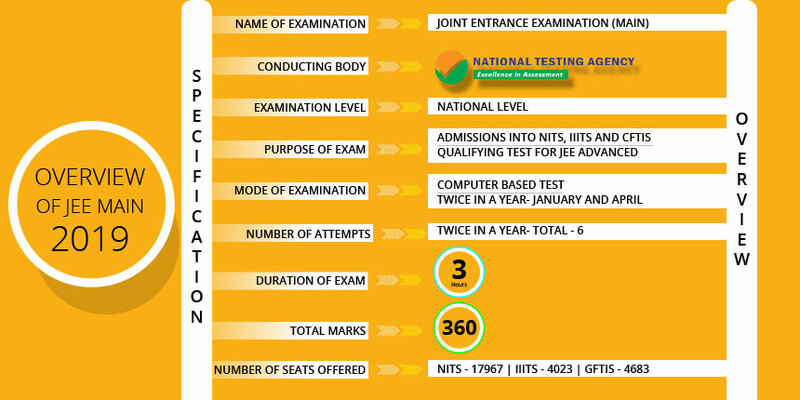 Visit the official website of JEE Main or NTA to check the JEE Main result. Enter the details like JEE Main Application Number and password/date of birth. After clicking on the button, the result will be displayed on the screen. Students are advised to download and take the printout of the scorecard till the admission process ends. Previous Diploma, Degree or Certification Courses: Which is Better After 10+2?